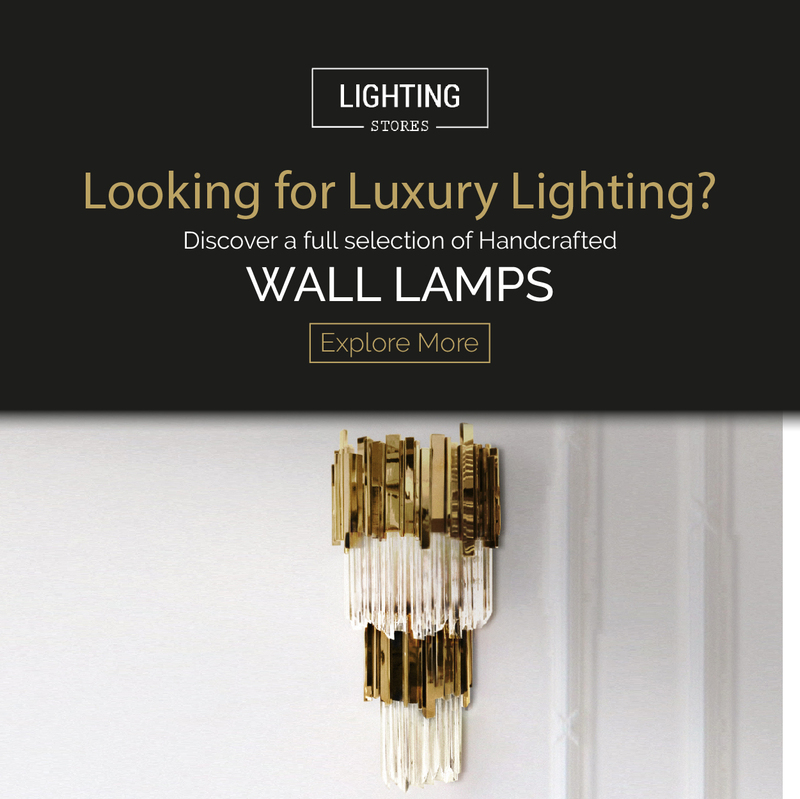 Are you looking for the best solutions when it comes to contemporary wall lamps? It is a hard piece of decoration to choose. It has to be in perfect harmony in the decor set, in combination with the suspension and maybe the floor lamps. To help you, we selected the most beautiful lamps design for your luxury home! Take a look and give your home a fresh look! Made of brass with gold plated and handmade butterflies and majestic flowers ending with the touch of beautiful Swarovski crystals. Sakishima Islands are part of Ryukyu Islands chain, located at Japan southernmost. SAKI brass wall lamp is a contemporary lighting tribute to this unforgotten islands group, recognized by its almost extinct bamboo roots harvest, which once were part of the local landscape. The contemporary lighting rhythmic composition of matte brass canes makes SAKI wall lamp an unforgettable piece in any modern home decor, filling it with nature inspired shapes that create a warm and cozy atmosphere. The contemporary lighting design SAKI prevails in the memory of the people who witness it. The Newton lamp is an exclusive artisan produced piece that reflects the best of Portuguese design and craftsmanship, authenticating Boca do Lobo’s core values and ethos. An expressive design inspired in jazz music, Galliano wall ﬁxture has a sculptural shape and it’s versatile and yet contemporary. An extremely balanced design which gets even more beautiful when you see light being casted thought its pipes. Up to 3 tubes, it produces a unique and gorgeous lighting effect. What do you think about our suggestions? Share your opinion with us! Find more lighting inspirations in our Pinterest!